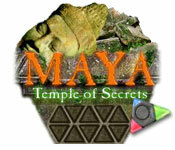 Unlock the doors to the mystical world of Maya. 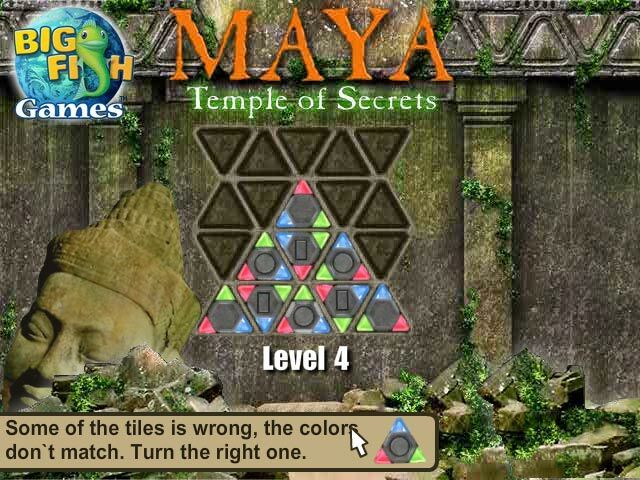 Click on the puzzle pieces to spin or flip them so that the corners match.Unlock the ancient world of Maya.Beyond the temple doors lies the mystical, ancient world of Maya. 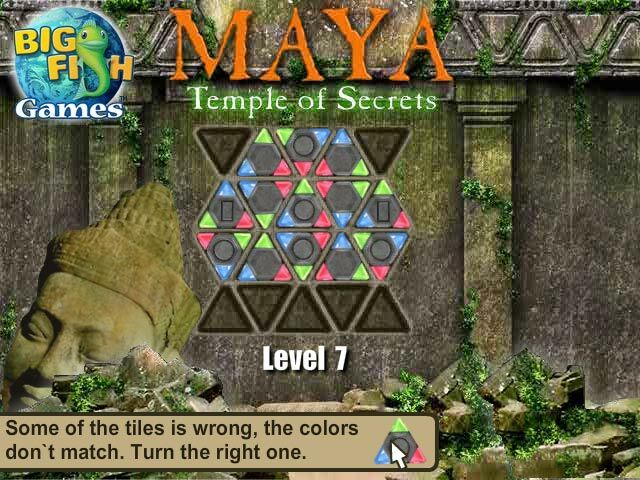 You must use your expert puzzling skills to solve the mysterious puzzle that locks the temple doors. Click on the puzzle pieces to spin or flip them so that the colors match at each corner. 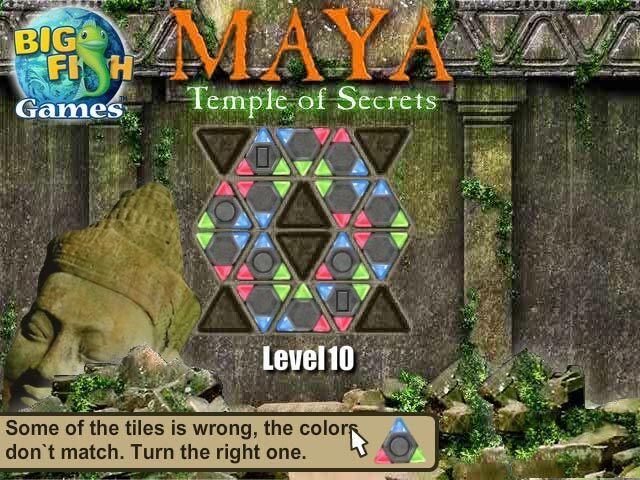 Can you beat all the puzzles and make your way to the fantastic world of Maya?